Alexander Shimkin after he was arrested for civil rights activity in Alabama in 1965. Alexander Demitri "Alex" Shimkin (October 11, 1944 - July 12, 1972) was an American war correspondent who was killed in Vietnam. He is notable for his investigation of non-combatant casualties in Operation Speedy Express. Born in Washington, D.C., Shimkin moved with his family in 1960 to Urbana, Illinois, where his parents, anthropologists Demitri B. Shimkin (1916–1992) and Edith Manning Shimkin (1912–1984), had joined the faculty of the University of Illinois. Although he was baptized an Episcopalian, Shimkin and his family were members of a Methodist church in Urbana. Intensely interested in military history, he made notebooks listing the order of battle for World War I armies. Shimkin graduated from Urbana High School in 1962, then attended the University of Michigan where he majored in history. He left college in 1965 and became a civil rights worker, first with the Northern Student Movement in Alabama, then with the Mississippi Freedom Democratic Party (MFDP). In Alabama, he was in the "Turnaround Tuesday" march led by Martin Luther King, Jr., from Selma to the Edmund Pettus Bridge and was arrested twice in Montgomery. In Mississippi, he was among 140 demonstrators arrested in Natchez on October 2, 1965, and detained three days at Parchman State Prison Farm, where he and others were kept naked in cold cells with no bedding. He wrote an eight-page "Natchez Political Handbook" outlining the local political structure and the right to demonstrate. 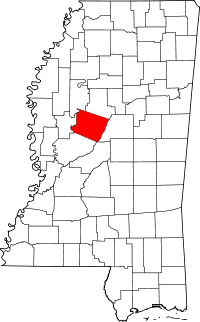 Shimkin was a full-time MFDP staff member in Quitman County in 1966. On June 9, 1966, he joined the March Against Fear organized by activist James Meredith who had been shot and injured a few days before. In Holmes County, he helped organize a Head Start program and a voter registration drive that registered over 6,000 African Americans for the 1967 election. Together with his father, Shimkin organized a project through which 18 African American students from Holmes County were selected to attend the University of Illinois. In a note that he left behind in Mississippi, Shimkin wrote, "Since I was barely twenty, I've devoted almost every moment of my life to the [civil rights] movement...."
I have no right to be exempt from making sacrifices overseas. application by Mike Benge and Thomas Russell and posted at . Returning to his studies, Shimkin graduated with "high distinction" in government from Indiana University (Bloomington) in 1969, then became a community development worker with International Voluntary Services (IVS) in Laos and South Vietnam. While with IVS in Vietnam, Shimkin and another volunteer, Ronald Moreau, became sources for a New York Times story by Gloria Emerson published in January 1971 about the forced use of Vietnamese civilians by South Vietnamese officers and their American advisers to clear land mines near the village of Ba Chúc on the Cambodian border. As Moreau later described the situation, North Vietnamese and Viet Cong soldiers planted mines on hillsides near the village to protect their upland positions and successfully resisted combined American and South Vietnamese air and ground attacks. Believing that the villagers knew where the communist forces had placed the mines and booby traps, the American and South Vietnamese officers forced the Ba Chúc villagers at gunpoint to use hand tools to locate and remove the mines, a task that resulted in several deaths and serious injuries among the villagers when the explosives detonated. There were also casualties from mortar attacks by the communists who wanted to disrupt the operation. After contacting Emerson, Shimkin and Moreau went with her to interview the villagers. According to Moreau, Emerson's story "had an immediate impact", causing the Pentagon to order an immediate halt to the mine-clearing operation. The story also brought a halt to Shimkin's and Moreau's service with IVS, which fired them for speaking to the press without permission. According to Moreau, Emerson intervened again, getting Shimkin a job as a stringer with Newsweek and Moreau one with the Washington Post. was one of the most informative and powerful experiences of my life. Working for Newsweek, Shimkin read documents released by the United States Military Assistance Command, Vietnam (MACV). Reviewing the MACV (pronounced "mack vee") documents about Operation Speedy Express, conducted in the Mekong Delta from December 1968 through May 1969, Shimkin noticed the large disparity between the American claims of 10,899 enemy dead and the reported capture of only 748 enemy weapons. Shimkin's conclusion, based on further documentary research and on interviews with American officials and Vietnamese witnesses, was that a large number of the reported dead were unarmed Vietnamese non-combatants whose deaths, whether accidental or deliberate, were used to enhance the body count that commanders of the Ninth Infantry Division considered the measure of the operation's success. Among the specific incidents uncovered by Shimkin was the one at Thanh Phong on the night of February 25–26, 1969, in which United States Navy SEALs led by Lieutenant (jg) Bob Kerrey, later Governor of Nebraska and a United States Senator, killed 21 civilians who were added to the body count of enemy dead, information that did not become public until 2001. Shimkin and his boss, Newsweek's Saigon bureau chief Kevin P. Buckley, produced a 4,700-word story that specifically alleged "that thousands of Vietnamese civilians have been killed deliberately by U.S. forces." The numbers, if not the deliberate nature of the casualties, were later supported by an official, though secret, U.S. Army report that concluded: "[W]hile there appears to be no means of determining the precise number of civilian casualties incurred by US forces during Operation Speedy Express, it would appear that the extent of these casualties was in fact substantial, and that a fairly solid case can be constructed to show that civilian casualties may have amounted to several thousand (between 5,000 and 7,000)." Pared back to 1,800 words by Newsweek editors who feared that the allegations would be seen as a "gratuitous attack" on the administration of President Richard M. Nixon following the revelations of the My Lai Massacre, the story was published in the June 19, 1972, issue under the title "Pacification's Deadly Price", but it attracted little attention. A few weeks later, Shimkin was killed. http://lh3.ggpht.com/_HBVKhiKXg8k/SbSnWDS-NNI/AAAAAAAAC_4/RhpxiVxczgE/6kimRunsBehBUR720506_23_33.jpg.jpeg Author Denise Chong (The Girl in the Picture: The Kim Phúc Story, Toronto: Viking, 1999, p. x.) believes that the man in this photo by David Burnett may be Alexander Shimkin. Source: Contact Press Images. http://4.bp.blogspot.com/_94MHBXuNWGg/TUDZEGUptLI/AAAAAAAAG5c/g68jWzJE-5o/s1600/Napalm%2BGirl%2B.arte_facto%2Bhereges%2Bpervers%25C3%25B5es%2B09.jpg Another photo of nearly the same scene snapped from a different perspective. Source: Corbis. http://digital.archives.alabama.gov/u?/photo,1517 Booking photo of Alexander Shimkin after he was arrested for civil rights activity in Montgomery, Alabama, in March 1965. Source: Alabama Department of Archives and History. http://image2.findagrave.com/photos/2012/321/50121592_135316787717.jpg Alexander Shimkin carries a wounded South Vietnamese soldier to safety near National Route 13 north of Saigon on or about July 6, 1972. According to a July 7 Saigon newspaper report, Shimkin braved mortar fire to rescue the soldier. Source: E. Shimkin et al., p. vii. http://www.newseum.org/exhibits/online/journalists-memorial/#search/honoreedetails2/53e54e3c347818781f457354/ Alexander Shimkin in Vietnam. Source: Newseum Journalists Memorial. Photo courtesy of E. Shimkin-Sorock. 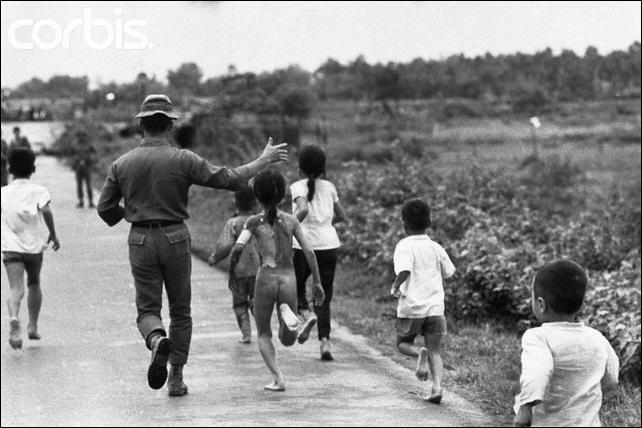 On June 8, 1972, a month before he died, Shimkin was one of the journalists present at Trảng Bàng in Tây Ninh Province when photographer Nick Ut captured his famous image of the nine-year-old Vietnamese girl Phan Thị Kim Phúc and some other children fleeing a napalm attack. Two South Vietnamese Skyraider aircraft went off course and dropped the incendiary bombs near the journalists, resulting in the deaths of two children and inflicting serious burns on others, including Kim Phúc. "Jesus! People have been bombed!" Shimkin is reported to have shouted. A picture taken by David Burnett from behind Kim Phúc shows a running man with his right arm outstretched toward her. Author Denise Chong has written that the man in the picture might be Shimkin. A few minutes later Shimkin was on his knees weeping and telling others,"Leave me alone." While covering fighting north of Saigon on National Route 13 (the highway to An Lộc) during the first week of July 1972, Shimkin went to the aid of a wounded South Vietnamese soldier and carried him to safety under heavy mortar fire. The rescue was captured in a photograph that appeared July 7 in a Saigon newspaper. The picture later appeared in Newsweek. On July 12, 1972, Shimkin and another reporter, Charles "Chad" Huntley, became lost in Quảng Trị Province while covering Allied operations to expel North Vietnamese forces that had occupied the area in the Easter Offensive. Leaving behind their Jeep, they walked into a hand grenade attack by North Vietnamese soldiers. Fluent in Vietnamese, Shimkin attempted to communicate with the attackers, but was killed. "The last time I saw him he was standing straight up with his arms stretched out with a grenade lying about two feet from his feet", Huntley said. "He looked down once, looked back up and kept trying to explain. An explosion occurred, he started to crumple...."
A veteran of the U.S. Special Forces, Huntley was only slightly wounded and attributed his survival and escape to his military training. After seeing Shimkin fall he counted "about 10 rounds" of Allied artillery fire that "blew away everything in the area." Shimkin's body was not recovered, and he was classified "missing in action" by the Department of Defense. Former war correspondent Zalin Grant thought he had Shimkin's grave "fairly well pinpointed" in 2002, but as of 2014 Shimkin's remains had not been located. wrong. ... Anything which deprives other people of their dignity is wrong. --Alexander D. Shimkin, oral history interview, 1965. Shimkin told an oral history interviewer in 1965 that a college course in classical literature had given him "a certain philosophical perspective." According to information from Shimkin's IVS application, he liked the novels of William Faulkner and Theodore Dreiser as well as reading political science and American history. At the time of his death he had been accepted for graduate study at Princeton University and hoped to write the "definitive history" of the Vietnam War. Shimkin's interest in military history led him to donate books on the subject to the Indiana University Library. Shimkin also played rugby at Indiana. Over 70 books from Shimkin's military history collection are archived at the library of the University of Illinois at Urbana-Champaign. Shimkin is also commemorated in the Journalists Memorial at the Newseum in Washington, D.C. A memorial tree honoring Shimkin was planted in 2014 on the campus of Indiana University Bloomington. ↑ Shimkin's nickname sometimes appears as "Alec", as in Lynda Zimmer, "Urbana Class of '62 reunites; alum on trail of classmates," The News-Gazette, Champaign-Urbana, Illinois, July 26, 2008. ↑ Shimkin's father was born in Siberia and emigrated with his family after the October Revolution. See Demitri Shimkin obituary, New York Times, December 25, 1992, and L. Daniel Myers, "Memorial to Demitri Boris Shimkin," Journal of California and Great Basin Anthropology, (17)1, University of California Merced, 1995, pp. 1-4. Shimkin's paternal uncle was cancer researcher Dr. Michael B. Shimkin (1913-1989). See Dr. Michael B. Shimkin obituary, New York Times, January 20, 1989, and Michael B. Shimkin, University of California: In Memoriam, 1989. ↑ Oral history interview. Shimkin was interviewed in 1965 in Jackson, Mississippi, about his civil rights experience by KZSU, Stanford University's student radio station. ↑ Turse, Kill Anything That Moves, p. 248. ↑ In Memoriam: Urbana Class of 1962. 1 2 3 4 Oral history interview. ↑ Oral history interview. Shimkin called this "the great U-turn that Dr. King led." ↑ Information that accompanies Shimkin's archived booking photo in the Alabama Department of Archives and History indicates his affiliation with the Northern Student Movement and that he was arrested on March 18, and March 22, 1965, each time for disobeying police orders. ↑ Description: University of Georgia, Civil Rights Digital Library, Record Number 1111. Facsimile: University of Southern Mississippi Digital Collections. Shimkin wrote a similar voter guide for the 1967 elections in Holmes County. Sojourner, pp. 231-232. ↑ Freedom Information Service Mississippi Newsletter, no. 1, June 22, 1966, p.3. Facsimile accessed October 23, 2012, through the University of Georgia Civil Rights Digital Library. ↑ Goudsouzian, pp. 51-53. One of Shimkin's companions from Quitman County, a 58-year-old African American named Armistead Phipps, died of heart failure during the march. "He was a decent Christian man," Shimkin said of Phipps. "I feel honestly that if he'd known he was about to die he would have done it this way." ↑ Logan and Frate in E. Shimkin et al., p. 9, and D. Shimkin in Eaton, p. 96. Logan and Frate cite a 1968 report of the United States Commission on Civil Rights that shows a jump in nonwhite voter registration in Holmes County from 20 to 6,332 following enactment of the Voting Rights Act of 1965. Political Participation (PDF). Washington, D.C.: United States Commission on Civil Rights. 1968. pp. 244–245 (Table 9). Retrieved December 8, 2012. The registration effort contributed to the election of Robert G. Clark, Jr., the first African American in the Mississippi House of Representatives since Reconstruction. ↑ Logan and Frate in E. Shimkin et al., p. 11. This was called the "Mississippi Pilot Project." All but three of the students completed their undergraduate work. Shimkin also launched a drive on the University of Illinois campus that raised $1,325 for needy Mississippi children. Dan Balz (January 13, 1966). "Interfaith Drive Nets $1,325 To Help Mississippi Children". Daily Illini. Champaign, Illinois. p. 2. Retrieved September 30, 2014. ↑ E. Shimkin et al., p. ix. "Government" was the name that Indiana University used at the time for its political science program. ↑ Lee, Tom (November 3, 2011). "Laos List Alphabetic Roster: Who Was There, 1945-1975". Retrieved November 14, 2012. ↑ Emerson. In 1978, Ba Chúc became the scene of further tragedy when over 3,000 Vietnamese civilians were killed there by forces of the Khmer Rouge in what became known as the Ba Chúc Massacre. 1 2 3 Memorial website in honor of Gloria Emerson: A Letter from Ronald Moreau in Islamabad (Newsweek Magazine) Tuesday, September 28, 2004. ↑ Ronald Moreau later became the correspondent for Newsweek and The Daily Beast in Afghanistan and Pakistan. He died May 13, 2014. Ahmed, Fasih (May 16, 2014). "Ron Moreau (1945-2014)". Newsweek Pakistan. Retrieved June 24, 2014. ↑ Turse, A My Lai a Month. Former Senator Charles Hagel of Nebraska, later Secretary of Defense, a veteran of the Ninth Infantry, said, "You used that body count, commanding officers did, as the metric and measurement as how successful you were...." Quoted by Washington Post reporter Patricia Sullivan in a blog posting, "A Vietnam War That Never Ends," August 5, 2009. ↑ In a letter to The Nation in 2008, Richard Brummett, who described himself as "a hanger-on at the Newsweek office in Saigon in 1971–72", wrote: "I remember Alex Shimkin concluding from his 'captured documents' that the peak killing hour was the time when school let out every afternoon in the Delta." "Letters," The Nation, December 29, 2008, p. 24, col. 1. ↑ Turse, Exposé. Turse reports that Newsweek suppressed a story by Gregory Vistica about the Thanh Phong incident in 1998. It finally became public in 2001 when Vistica published an article in The New York Times Magazine. See Gregory Vistica, "One Awful Night in Thanh Phong," New York Times Magazine, April 25, 2001. Vistica also described the Thanh Phong raid and how the body count was tallied in his book, The Education of Lieutenant Kerrey. St. Martin's Press (Thomas Dunne Books). 2003. pp. 87–97. ISBN 0-312-28547-7. ↑ Turse, My Lai and Lockerbie. ↑ Knightley, p. 400. Ironically, both the My Lai Massacre and the start of Operation Speedy Express took place during the administration of President Lyndon B. Johnson. ↑ Knightley, p. 400. Buckley stated, "There was a flurry of low-level Congressional interest and then it faded." ↑ Chong, p. x. Chong also reports that Shimkin was the first of the journalists to run toward the injured after the bombs had fallen. Chong, p. 64. ↑ E. Shimkin et al., p. ix. ↑ "Top of the Week". Newsweek. LXXX (4): 3. July 24, 1972. ↑ The U.S. Army has used the term "Allies" to describe the countries that aided South Vietnam in the war. See Larsen, Stanley; Collins, James (1975). Allied Participation in Vietnam. Vietnam Studies. Washington, D.C.: Department of the Army. OCLC 1119579. Retrieved January 15, 2013. ↑ They were near National Route 1A, the "Street Without Joy" of the First Indochina War made famous by Bernard Fall in his book with that title. ↑ American Correspondent is Wounded in Vietnam. Huntley described the location as about one-and-a-half miles north of the Our Lady of La Vang church near Quảng Trị City. ↑ American Correspondent is Wounded in Vietnam. ↑ Huntley. The same article appeared in the Chicago Tribune, July 15, 1972, under the title, "Writer Survives Grenade Attack Behind Red Lines," p. W_B27. ↑ Library of Congress: POW/MIA Databases & Documents: Updated Casualty List Reference number 1899-0-01. ↑ Grant, Zalin. "The War and I, Part 3". Zalin Grant's Letters from a French Village. Pythia Press. Retrieved November 14, 2012. ↑ See Alex Shimkin record, Defense Prisoner of War/Missing Personnel Office. Internet Archive page saved January 12, 2015. Accessed July 29, 2015. ↑ Information collected by Mike Benge and Thomas Russell from IVS applications of volunteers who died in Southeast Asia and posted on the web site of Roger Young's Northwest Veterans Newsletter. ↑ e.g. John Castell Hopkins and Robert John Renison, Canada at War, 1914-1918: A Record of Heroism and Achievement, Toronto, 1919; Herbert Wrigley Wilson, Ironclads in Action: A Sketch of Naval Warfare from 1855 to 1895, Boston: Little, Brown & Co., 1896; Donald G. F. W. Macintyre, U-boat Killer: Fighting the U-Boats in the Battle of the Atlantic, London: Weidenfeld and Nicolson, 1956 and Walter Birkbeck Wood and Sir James Edward Edmonds, Military history of the Civil War: With special reference to the campaigns of 1864 and 1865, New York: G.P. Putnam's Sons, 1960. The scans of these four volumes include Indiana University Library bookplates identifying them as gifts of Alexander Shimkin. ↑ The Arbutus (yearbook), 1969, Indiana University, p. 168. ↑ Newseum Journalists Memorial: Alexander Shimkin. Chong, Denise (1999). The Girl in the Picture: The Kim Phúc Story. Viking. ISBN 0-670-88040-X. Eaton, Joseph, ed. (1971). Migration and Social Welfare. New York: National Association of Social Workers. ISBN 0-87101-617-6. Chapter by Demitri B. Shimkin, "Black Migration and the Struggle for Equity: A Hundred-Year Survey", pp. 77–116. Goudsouzian, Aram (2014). Down to the Crossroads: Civil Rights, Black Power, and the Meredith March Against Fear. Farrar, Straus and Giroux. ISBN 0374192200. Retrieved July 12, 2015. Knightley, Phillip (1976). The First Casualty: From the Crimea to Vietnam: The War Correspondent as Hero, Propagandist, and Myth Maker. Harcourt Brace Jovanovich. ISBN 0-15-631130-5. Shimkin, Edith; Shimkin, Demitri; Frate, Dennis, eds. (1978). Extended Family in Black Societies. Conference Series in World Anthropology. The Hague: Mouton. ISBN 90-279-7590-6. Chapter by Eddie W. Logan and Dennis A. Frate, "The Struggle for Black Community Development in Holmes County, Mississippi," pp. 3–20. Sojourner, Sue (Lorenzi); Reitan, Cheryl (2013). Thunder of Freedom: Black Leadership and the Transformation of 1960s Mississippi. Lexington, Kentucky: University Press of Kentucky. ISBN 0813140935. Retrieved March 18, 2013. Turse, Nick (2013). Kill Anything That Moves. Metropolitan Books. ISBN 978-0-8050-8691-1. Buckley, Kevin (1972). "Pacification's Deadly Price". Newsweek. Retrieved November 3, 2012. Turse, Nick (2008). "A My Lai a Month". The Nation. Retrieved November 3, 2012. Turse, Nick (2008). "The Vietnam Exposé That Wasn't". The Nation. Retrieved November 3, 2012. Turse, Nick (2009). "My Lai and Lockerbie Reconsidered". The Nation. Retrieved November 3, 2012. Bierstein, Susan (October 7, 1965). "Urbana Youth Shivers Through Jailing, Harassment in Natchez". Champaign-Urbana Courier. Urbana, Illinois. p. 3. Retrieved September 29, 2014. Emerson, Gloria (January 10, 1971). "Villagers Say Saigon Perils Their Lives; Villagers Charge Saigon Forces Them to Risk Lives". The New York Times. Retrieved November 3, 2012. "American Correspondent is Wounded in Vietnam". The Spokesman-Review. Spokane, Washington. Associated Press. July 15, 1972. p. 7. Retrieved November 6, 2012. Huntley, Chad (July 17, 1972). "Newspaperman believes service training kept him from being killed". The Star-News (Marine Edition). Wilmington, North Carolina. United Press International. p. 1. Retrieved November 6, 2012. Shimkin, Alexander (June 23, 1965). "Alex Shimkin oral history interview". Box 3, Folder 56, Archive no. 0050, Project South, Stanford University Archives, Stanford, California (Interview: cassette tape and transcript). Retrieved July 28, 2015. KZSU (Radio station: Stanford, Calif.) (Interviewer) (June 23, 1965). "Alex Shimkin oral history interview transcript" (PDF). Retrieved July 28, 2015. Freedom Forum Journalists Memorial: Alexander Shimkin. Nick Turse accepting Ridenhour Prize for Reportorial Distinction on YouTube. (Contains tribute to Alexander Shimkin.) Accessed January 14, 2013. Interview with Nick Turse by Amy Grunder, first aired live on Sounds of Dissent, WZBC 90.3 FM Boston, January 12, 2013. (Mentions Alexander Shimkin's work on Operation Speedy Express.) Accessed January 14, 2013.